Marvel Studios’ dropped a first look at the upcoming film “Black Panther” this Friday during Game 4 of the NBA Finals between the Cleveland Cavaliers and Golden State Warriors…because we weren’t already on the edge of our seats! The just under two minute trailer for “Black Panther” gives us our initial action-packed look at our superhero played by Chadwick Boseman. The film also stars Michael B. Jordan, Lupita Nyong’o, Danai Gurira, Martin Freeman, Daniel Kaluuya, Letitia Wright, Winston Duke, Angela Bassett, Forest Whitaker, and Andy Serkis. 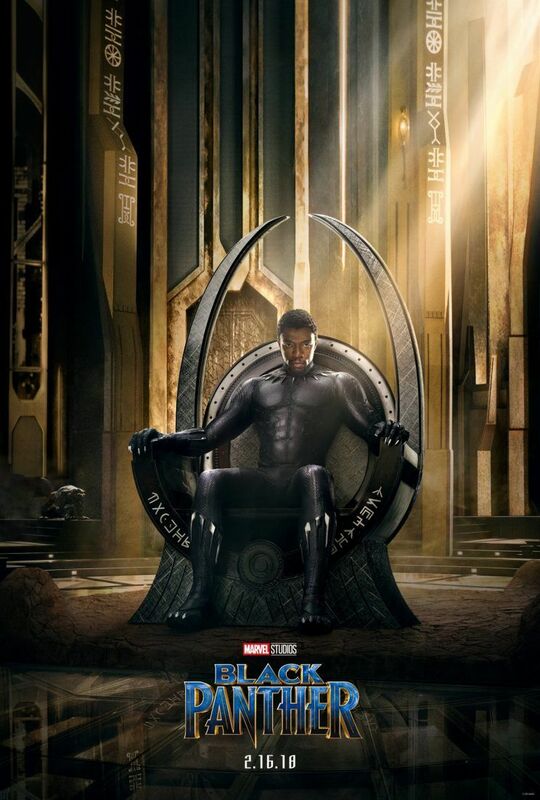 The film follows T’Challa who, after the death of his father, the King of Wakanda, returns home to the isolated, technologically advanced African nation to succeed to the throne and take his rightful place as king. But when a powerful old enemy reappears, T’Challa’s mettle as king—and Black Panther—is tested when he is drawn into a formidable conflict that puts the fate of Wakanda and the entire world at risk. Faced with treachery and danger, the young king must rally his allies and release the full power of Black Panther to defeat his foes and secure the safety of his people and their way of life.